It's cold outside, but one thing I love about winter is cooking up hearty soups that steam up my kitchen and keep me full for days on end. Everyone loves this hearty potato leek soup recipe... even kids! That's why creamy soups like this have a prominent place at my winter dinner table. 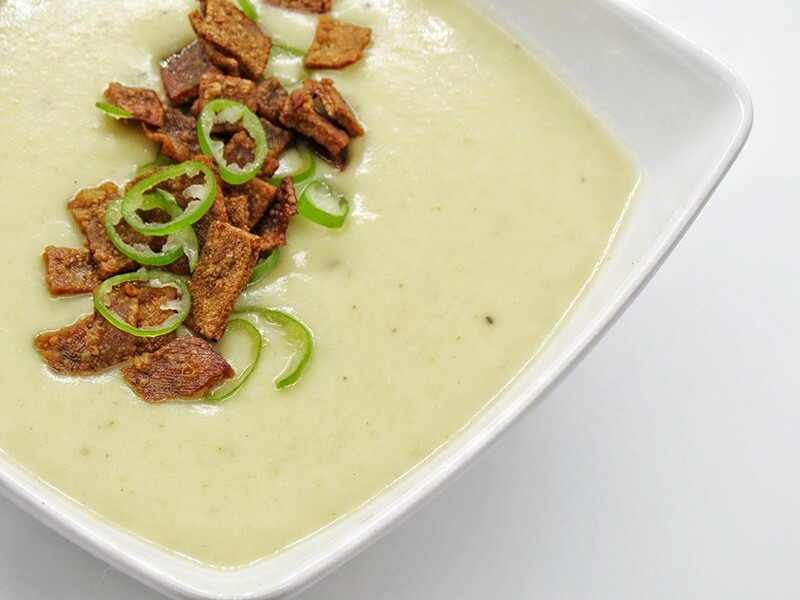 This potato leek soup recipe will knock your Shanghai winter fuzzy socks off. This soup is a cinch to make and can easily be stored for later, so you can heat and eat on a busy day. 1. Heat the coconut oil over medium high heat in a heavy bottomed soup pot, then add leeks and garlic. Stir frequently and cook for about 10 minutes. Reduce heat if necessary so the leeks and garlic don't burn. 2. Add potatoes, vegetable broth, bay leaves, thyme, salt and pepper to the pot and bring to a boil. Turn heat to low and cover. Simmer for 15 minutes or until potatoes are soft. 3. Turn off the heat and remove the bay leaves. Use an immersion blender to purée the soup until silky smooth and creamy. 4. Add coconut cream and turn the heat back on to medium. Once heated through, pour into soup bowls and top with bac'un bits and sliced leek. If desired, add more freshly ground black pepper to the soup and serve.